Super comfortable trousers adjustable in two sizes, depending if you flip the bass or if you leave it extended. 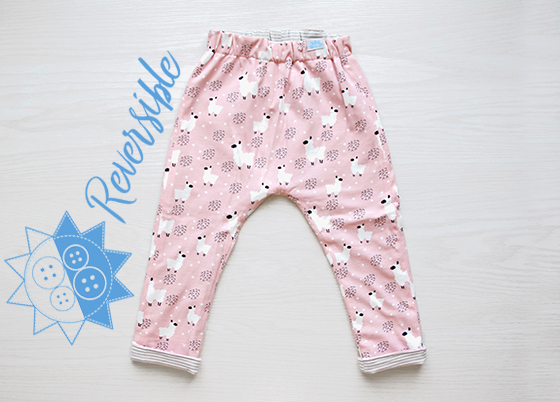 Reversible clothing made of cotton for combine as you like. Fabric with alpaca motifs on one side and stripes beige on the other. Wide elastic band at the waist for a comfortable fit. Handmade in Spain.